When it comes to new flooring, it all starts with a desire to replace the old, and it all ends with a quality flooring installation. Having professionals attend to your installation needs insures your complete satisfaction and so much more. You won’t have to worry about issues coming up weeks or months down the road, and if they do, you have a friend in the business that can help make it right. Valley Floor Covering has been offering quality products and services to the areas of Norwich, Harford, Danbury, New Haven, and Naugatuck for more than 37 years. In that time, we have proven our devotion to offering the best products to our customers, along with the experienced craftsmen who know how to expertly install your flooring. We invite you to visit us at our showroom in Naugatuck, CT, at your convenience. We’ll make sure you get the service you deserve. Some floor coverings are easier to install than others. For this reason, many homeowners seek to undertake a DIY flooring installation, especially with the wide array of “tutorials” that are available these days. The truth is, however, that there are things that can go wrong, even with the simplest of materials. That’s why going with professional installation, is sort of like an extra insurance policy for your flooring. The installation of some flooring materials, such as carpet, solid wood and porcelain tile, should never be attempted by a novice or beginner. Not only are mistakes much more expensive and harder to correct, but there are many specialized tools necessary to get the job done right the first time. Without those tools, even experienced installers would have a hard time completing the job. 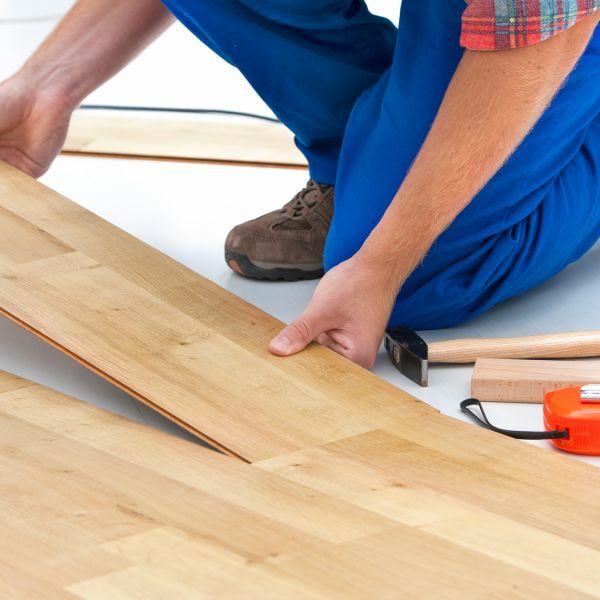 In addition to specialized tools and expensive mistakes, performing your own flooring installation can also void any existing warranties on your flooring.That means if you install your own carpet or solid hardwood flooring, and then find a problem later on that had nothing to do with the installation itself, you still won’t be able to make use of the warranty. This can mean big trouble and lots of oversight in the budget, to fix a problem that could have been avoided by leaving the job to the professionals in the first place. It’s true, doing the job yourself can save you some money up front. But the possibility of what it would cost after voiding a warranty simply isn’t worth it.